Synopsis: Dr. 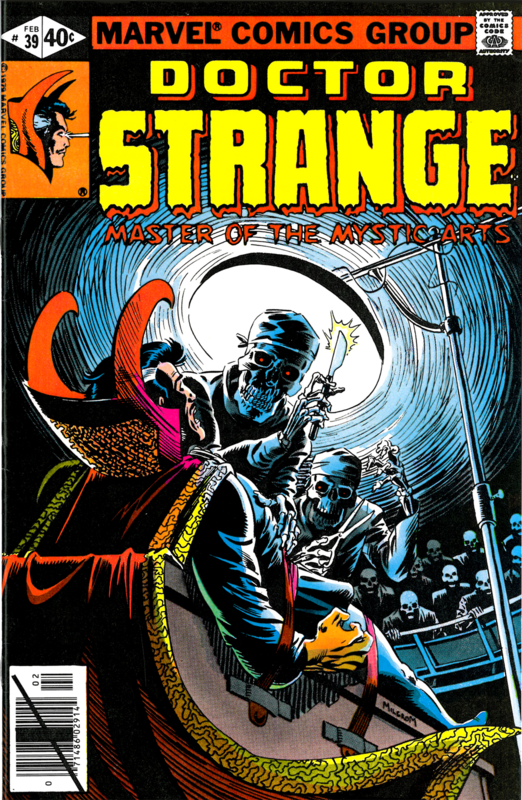 Strange discovers that the catatonic Baron Mordo who has been living in his Sanctum Sanctorum is merely an conjured illusion. Upon further consideration, he realizes that a series of recent attacks and other events may be all part of a plot orchestrated by his old foe. The Sorcerer Supreme learns that the real Mordo has been sighted in Paris and departs with his friend Alfeo Spinosa to track him down. While Strange is away, Clea searches Chinatown for Wong, who had not returned from his errands the day before. She is attacked by one of Dormammu's wraiths and helped back to the Sanctum by neighbor Sara Wolfe. In Paris, Dr. Strange and Alfeo are ambushed while searching for Mordo. Alfeo is shot dead and the Sorcerer is knocked unconscious and later wakes up strapped to an operating table in a hospital theater. The hero is put through a series of trials during which he is forced to confront his arrogant and greedy behavior as a former top surgeon as well the despair and drunken debauchery after the accident that ruined his career in medicine. He regains his composure and breaks the illusions around him just in time to realize that he being goaded into killing his old lover Madeline St. Germaine on the operating table. Strange learns from Madeline that the men responsible for this trap serve Baron Mordo, who is plotting to open the Seven Gates of Chaos in order to destroy the Earth!